Last Thursday evening, as I was mindlessly scrolling through Facebook, I saw an ad that caught my attention. I found it at the perfect time, really. I had realized recently that I was feeling a little down because I’ve been bored. I have never done well with being bored, which is why I have played seven instruments in my life, among other examples. I’m in a season of waiting for many things – waiting for my book to be in print, waiting for the twins to be born, waiting, waiting, waiting. Brennan would ask me how my day was and I often felt like I had no idea because it didn’t feel like I had accomplished anything. I didn’t like that. I haven’t worked at The Spa since May 15th because of the IVF process and because of our busy schedules over the summer. Once they were fully staffed I decided to go inactive and enjoy some time off. This allowed me to focus on running the AirBnB over the summer, finishing my manuscript, resting during the first trimester (which was SO necessary), and other things that came my way. This has left me with a lot of time on my hands, and while it’s been great to spend my days watching Hallmark Christmas movies and relaxing (while also doing chores and things intermittently), I began to notice that I wasn’t super happy. Not depressed, not miserable, just not as happy as normal. I’m bored! So, this ad. It was for a job at The Hershey Story, the amazing museum about the life of Mr. Hershey and the town/company he created. Even better, it was for “Chocolate Tasting Associates.” No, that doesn’t mean that I would get paid to taste chocolate, but it’s almost as great! Essentially, it’s like being a “chocolate bartender” because these employees serve “shots” of warm drinking chocolates from specific places around the world to guests. Did you know that cacao tastes drastically different depending on its country of origin? It’s amazing! That’s why Hershey blends beans to create a specific flavor. I went ahead and applied, thinking it would be fun and interesting. The next morning, I heard back (so fast!) and was asked to come in for an interview. I think I caught their attention because of my vast experience with the Milton Hershey School, The Hotel Hershey, and Hershey Entertainment & Resorts, but I’m not really sure. I will be cross-trained to teach in the Chocolate Lab and to run the Tastings bar, and I’m looking forward to the opportunity to get out of the house a few hours a week until the twins arrive. I had orientation today which was completely self-guided and fun. I spent time walking through the museum, did a class in the Chocolate Lab (where we used milk and white chocolate to create a festive reindeer), tasted chocolate, and enjoyed the atmosphere of The Hershey Story. As an introvert, it was exactly what I needed! I wasn’t looking for a job, but I found one, and it’s going to be great. Both Brennan and I love history (I minored in American History), and we will teach each of our children how to appreciate and enjoy history to the best of our ability. every American should try to do – so this was a “first for the whole family” adventure! We took the Staten Island Ferry to Battery Park, and then took the boat to the islands – five boat rides total. While we were there, the weather was amazing and the clouds made for some stunning photos. We were able to meet up with some of our Leukodystrophy Family while we were there, which was wonderful. The Serreno family came over to Manhattan and we had dinner together. Tori was alert and content (except for nap times, of course) and truly seemed to be enjoying the scenery, the sounds, and the weather. We are so thankful that we had this opportunity! We were also glad our friends, Billy and Michelle, could join us on this adventure. I started reading For Such a Time and could barely stop reading it or thinking about what was going to happen next. I knew after the first few pages that it was a winner and I was not disappointed! This book retells the biblical story of Queen Esther in the context of WWII Germany – a context that is all too real for us even 70 years later. The author skillfully weaves the biblical story in with the truthful horrors of the holocaust, carefully developing each character along the way. I loved the character development of the Nazi soldiers/officers that were the main characters (Xerxes and Naman from the biblical account), and how the author took time to show how their past may have affected and hardened their hearts toward the Jewish people they were forced to destroy. So often I think of the Nazi soldiers as animals, as less than human, without considering what might have caused them to become that way – not to offer grace, but to better understand how humans can become so hateful toward one another so that we can be aware. The main character of the book, Hadassah, also known as Stella, represents Esther (in fact, Hadassah is the Hebrew word for Esther), and we are able to see how this young girl becomes the unlikely hero of a few thousand Jews she tries to help given her position with the Nazi officer she works for as a secretary. As her uncle tells her from the beginning, she was brought there “for such a time as this” to be the salvation for her people. I cannot recommend this book highly enough. I was fully engaged throughout the entire book and couldn’t wait to find out what happened! 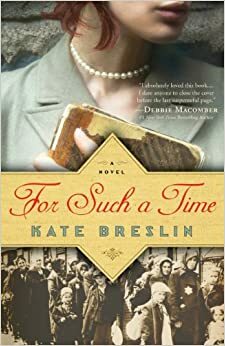 It is very well written, and the author did her best to incorporate real WWII events (as she mentions in the afterword) to remember the sacrifices the Jewish people had to make. If you love history, if you love the story of Esther, you MUST read this book. I received a copy of this book from Bethany House in exchange for my honest review. This book captured my attention immediately: I love maps, history, photography, and the Bible, and this book has ALL of those things in one place! The Essential Atlas of the Bible is a concise, easy to navigate atlas for all types of study – whether you’ll be traveling to the Middle East and want to get to know the history of the area, or whether you want to learn about the places of the Bible, this book is perfect for you. It is in full color and offers a great deal of history on every page. The photography gives you a glimpse of what the areas look like today and helps you to imagine what it would have been like to have been there thousands of years ago. If you love maps, you’ll really love the detail and context that this book provides. It’s easy to read and it is organized into chapters that help make the research process even easier. This is a book I would highly recommend for every household, as I could see children really loving it as well! After all, we can never learn too much about the places of the Bible. I received a free copy of this book from BookLook Bloggers in exchange for my honest review. Context is key. If I learned anything while earning my minor in American History, it was that statement. You can evaluate an event such as a war, but without studying its context, it is difficult to understand the bigger picture. Context allows you to walk in another person’s shoes. It allows you to understand reactions and actions that might otherwise confuse you or seem ridiculous. It is this concept that makes the book “December 1941: 31 Days that Changed America and Saved the World” an excellent resource. Each chapter reflects one day in American history and the author demonstrates his extensive research in every paragraph. His ability to paint a picture of what was going on culturally, politically, and historically in terms of the war is incredible. He read through thousands of newspapers for each day in order to get a sense of what it must have been like to be an American during December 1941. By so doing, you get a greater sense of what World War II looked like to Americans of that day. I loved the headlines and the stories that he would bring up, seemingly unrelated to the war at hand; but it is exactly those items that help you feel as though you are in 1941 and that this is your reality. This book was fascinating from cover to cover, which is not always the case with historical accounts. When you look at WWII, it’s often difficult to understand the thoughts and reasons behind the reactions, the actions (i.e. concentration camps in the U.S.) because we are looking back without a context of what it felt like to live as an American during these times. 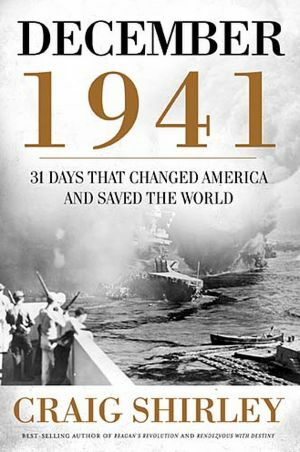 The author does an excellent job of bringing you back in time, helping you to see and feel what Americans must have felt during Pearl Harbor and the events occurring afterward. As a student of history, I thoroughly enjoyed this book and I learned a great deal about 1941. I highly recommend it!